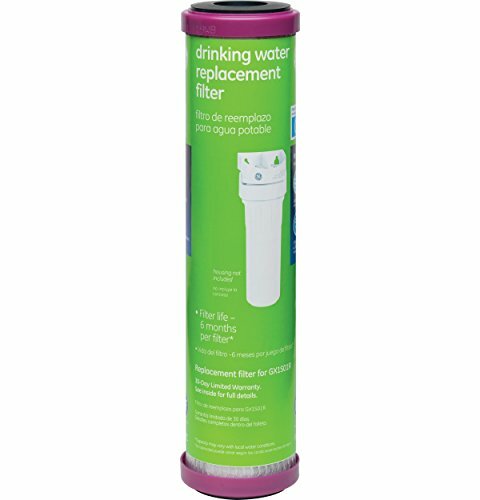 The GE Drinking Water System Replacement Filter reduces chlorine and sediment in your drinking water. Includes one replacement filter compatible with the GX1S01R system and made for simple and easy filter installation. Recommended replacement every 6 months or 3,000 gallons for fresh, filtered water. NSF/ANSI certified.